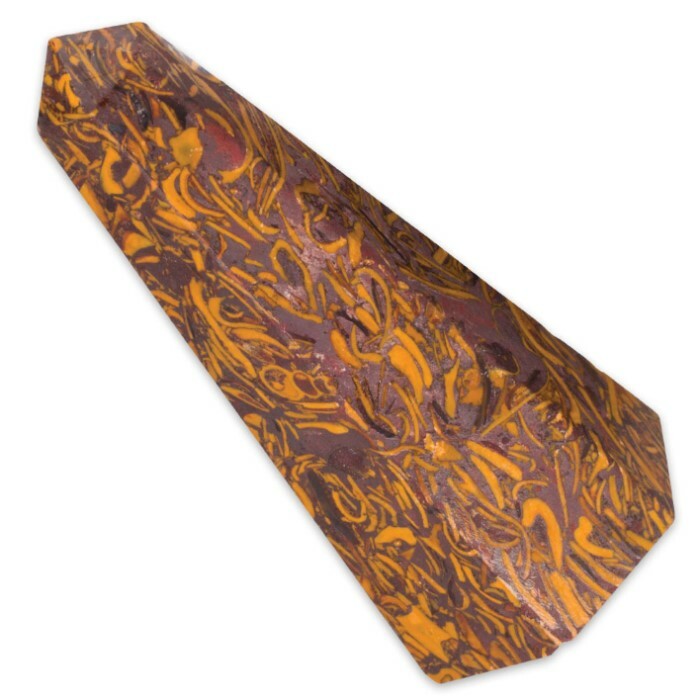 Calligraphy And Red Jasper Stones | BUDK.com - Knives & Swords At The Lowest Prices! From ancient times, healers have used gemstones to heal the body and mind by releasing tension and transferring the gemstone’s energy to the body through ritual and massage. 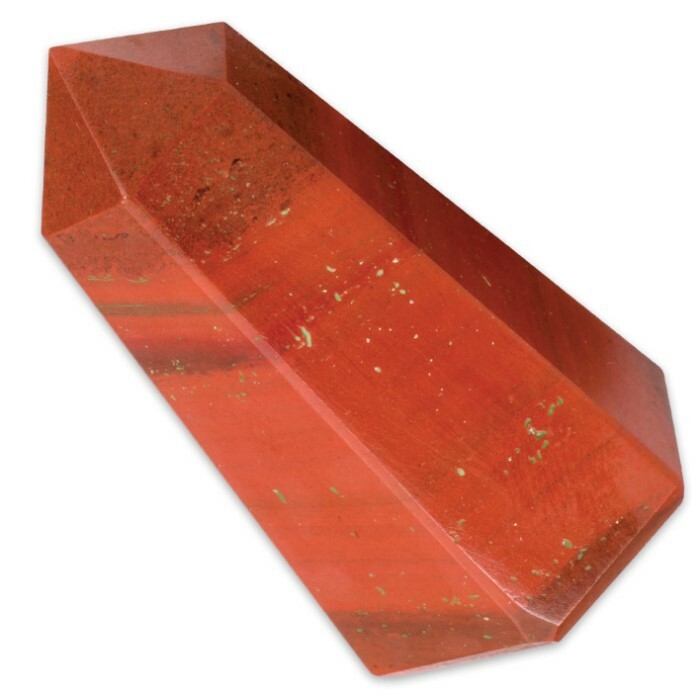 The Red Jasper Stone is a powerful protection and stability gemstone. It inspires a positive attitude, increasing your motivation and energy level to help you take action in your life. 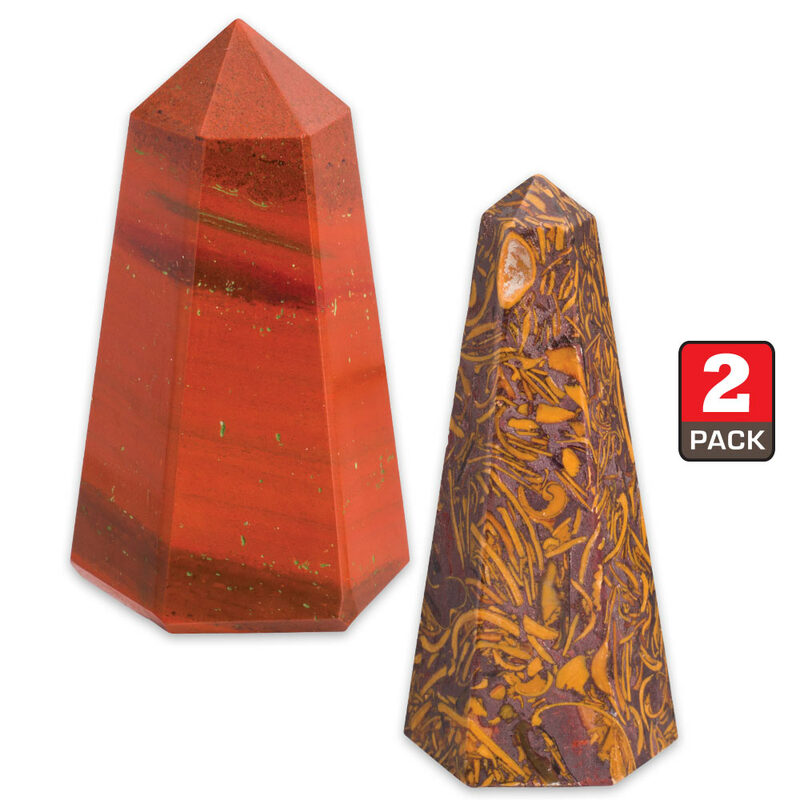 It is one of the best root chakra stones. Spiritually wise the Calligraphy Stone helps one assimilate life force energy. It helps you to keep a cool head in volatile situations and helps to create positive results from seemingly hopeless situations. It is associated with the third eye chakra.